Growing up I always enjoyed anything outdoorsy, including fishing. 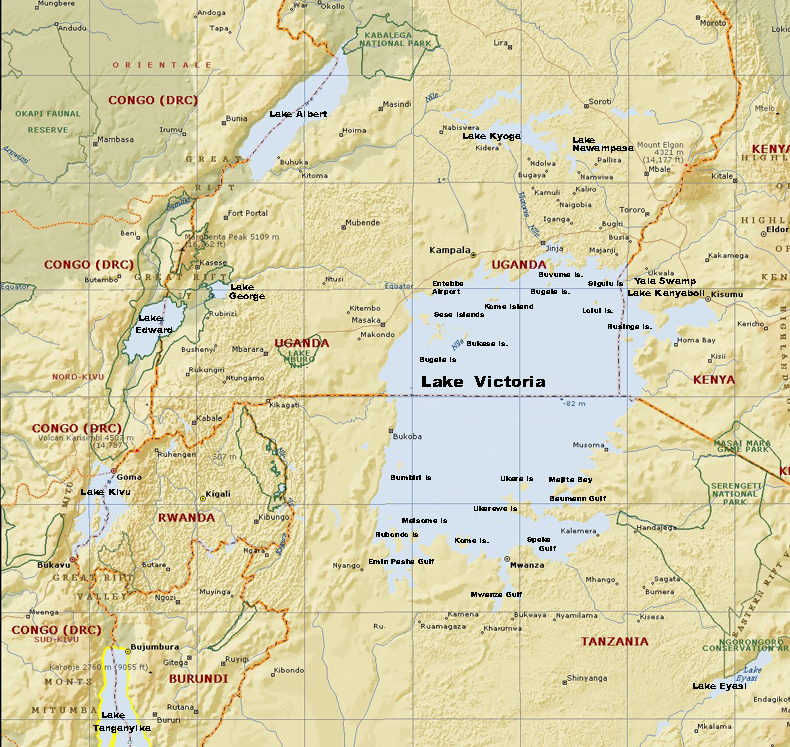 From fourth to sixth grade I lived in Kisumu (“kiss-a-moo” as my grandmother pronounced it), Kenya, within walking distance of Lake Victoria – the largest tropical lake in the world at 26,600 square miles, as well as the second largest in the world, after Lake Superior. I had a group of five to seven Luo “boy friends,” who were my constant and daily companions after school hours. We were always outside playing. Anything from walking through adjacent scrub brush shooting slingshots, to hanging out on the weekends near the lakeside picnic area in hope of Indian picnickers, from whom my friends would beg for yummy spicy Indian food leftovers. All the while and unbeknownst to the picnickers was a young white boy hiding behind a retainer wall eagerly waiting his share of the begged loot. A similar “sling” to what we made. 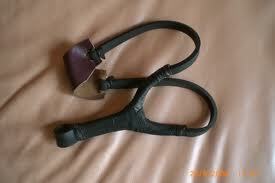 The slingshots we made from purchased strips of inner tube obtained at the local open market. Each strip had to be hand selected according to its springy, rapid elasticity, which, of course, would equate to a much quicker catapulted small stone or pebble. A prized rubber was red versus black. We were always on the lookout during our walkabouts in the “bush” for a prized forked stick, which we would cut to perfect hand and slingshot size, strip off its bark so as to allow it to sun dry and harden. Since my knowledge of Luo was basic at best, and theirs of English the same, we would speak to each other in simple words and hand gestures. I grimace remembering some phrases, including “ndege with the long tail.” It wasn’t enough to simply say the words (ndege is Kiswahili for bird, and, well, you know what “with the long tail” means), one also had to act them out. 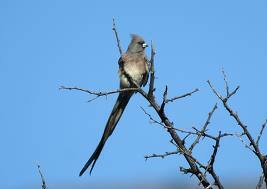 For example, when we saw a group of mouse birds, or mousies as we affectionately called them, fly into a nearby bush or tree, we would excitedly whisper-shout to each other “ndege with the long tail,” while simultaneously pulling an imaginary long quill out of our rear with one hand, while with the other quickly unslinging slingshots from around our necks, where, incidentally, we coolly kept them before this became the fashion in Milan. Back to Lake Victoria and fishing, before moving on to fly fishing for sheep on the West Rand. I bought a small gill net at a local fishing supply store in Kisumu, maybe 15 to 20 yards in length, which resembled a tennis net, except fitted with cork floats on top and weights on the bottom. 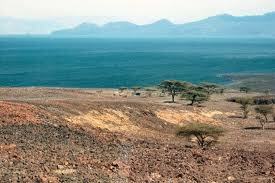 My friends and I would walk to a small and narrow inlet of the lake not far from the Nyanza Club, toting our net, sandwiches, water thermos, plus a reed basket, which was used to transport home our tilapia. After arriving my friends would strip down to either their knickers or nothings, while I, out of an instilled fear of contracting bilharzia, remained fully clothed on the bank, keeping an eye out on our belongings, as well as snakes, which occasionally would make a water crossing near our extended net. Once the net was strung across the narrow inlet, my friends would then disperse themselves in the water 20 to 40 yards further up, and walk slowly back toward the net continuously slapping the water with sticks or their two outstretched hands. “We” then lifted the net to examine whether “our” attempt at herding fish was successful or not. I have only warm memories of those days, including taking our tilapia home, batter frying them, and eating fish with homemade chapatis (Indian flat bread). Although while on the topic of fishing I could share two more erstwhile stories, both of which relate to my dad’s apparent jinx with boat motors (One, an encounter with a threatening hippo on Lake Naivasha, while my dad was desperately trying to restart a temperamental motor. The other, the death of one of two outboard engines on a small fishing boat with seven adults, on our return from fishing at Central Island, miles from shore on a stormy Lake Turkana – a place purported to have the highest density of Nile crocodile anywhere in the world), I prefer to tell, what to me, is the most comical: fly fishing for sheep. A former South African friend of mine is an avid fly fisherman, so much so that I’m certain he would live in a floating tube chair if wife and work allowed. 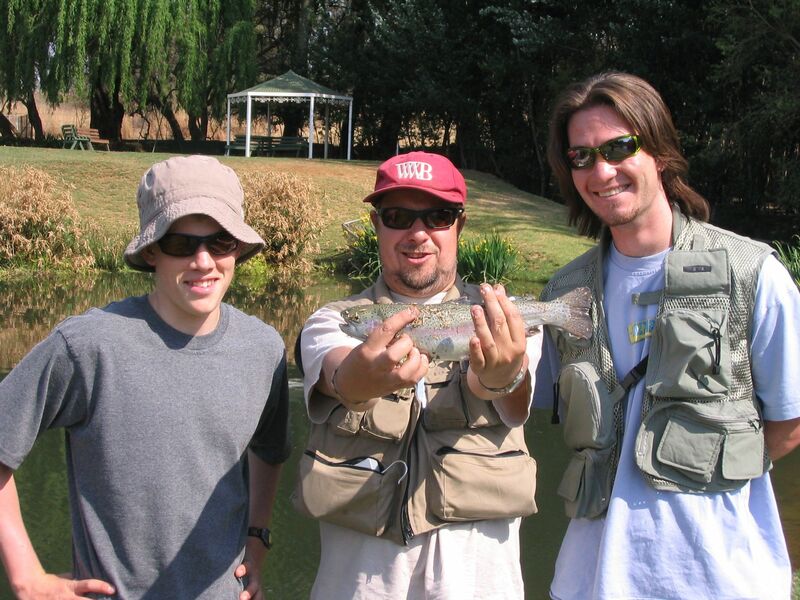 He has taught the basics of fly fishing to many a person, including myself, and on this particular story occasion, my teenage son. We drove across Johannesburg to a section of the West Rand that is populated with small holdings and wedding venues. This fishing hole, as it were, had three or four quite small pools stocked with rainbow trout and bass. To keep the surrounding grass and brush cleared with minimal human effort, the owner kept a number of “free range” livestock – a pony or two, sheep, maybe geese. We fishermen (and a fisherwoman or two) were individually scattered across the few acres. As best I can remember, I was fishing at the end of the larger pool, while my son was fishing the same pool at mid-center. Suddenly I heard my son shout in a panicked voice, something to the effect of, “Pa! Come quickly! Help me!” Upon hearing his stricken voice, my heart immediately skipped a beat or three, and I dropped my own rod and turned to race toward him. What I saw as I turned doubled me over with laughter. On one of his many back strokes, which are a necessary and finessed aspect of fly fishing, he was unaware that a ewe was feeding directly behind him. His small fly embedded itself in the ewe’s wool, and upon my son’s forward cast the sudden forceful tug startled the ewe. She bolted in an angled direction toward, yet away from me. My son, not wanting to lose his fishing equipment, ran after her with his rod bending in an extreme doubled arc, as if he had just hooked a Great White. I was laughing so hard – and all the while trying desperately to remove my digital Canon camera from a buttoned cargo pocket – that I was of no help. Eventually, of course, the ewe’s pull and my son’s resistance resulted in a broken line. So . . . should you have bought a sheep skin in the Gauteng region anytime between 2006-2007, and discovered through a painful laying down on it experience that it contained a small hooked fly, you now, more than likely, know the origin of that fly!